Protein A agarose resin consists of rProtein A covalently bound to cross-linked agarose beads. It provides a very stable bond that can greatly minimize leakage of the Protein A allowing for reuse of the affinity resin in several purification steps. 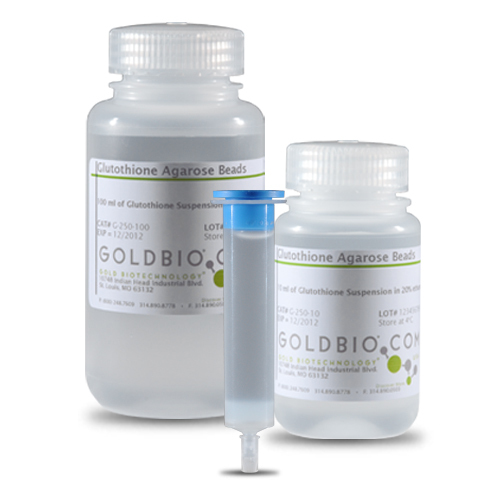 Protein A Agarose resin is available in bulk from 5-100 ml quantities. Protein A resin is good for the purification of a wide range of Immunoglobulins of different mammalian species and also certain IgG subclasses that have no other affinity (see additional information). Protein A is a cell wall component of Staphylococcus aureus. It consists of a single polypeptide chain shaped as a cylinder, which contains five antibody–binding domains. These high affinity regions are specifically bonded to Fc region of the immunoglobulins (specially IgGs of different species). Protein A is temperature stable and it retains its native conformation even in the presence of denaturing agents. 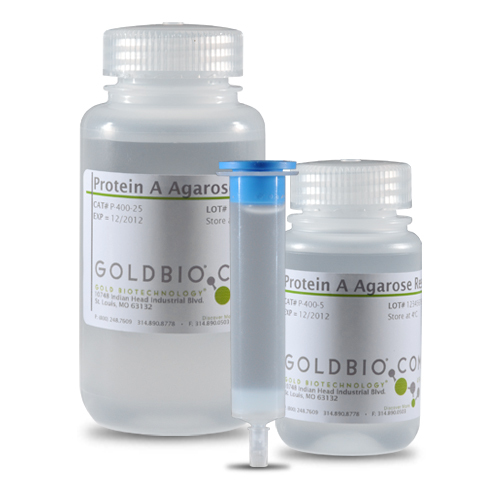 Protein A agarose resin column - Antibody binding protocol for a low pressure gravity column system. Immunoprecipitation protocol utilizing agarose resins.